Labour union, Nehawu says the strike at SARS will continue in the coming week – despite ongoing salary negotiations. The strike began on Thursday when workers who are members of Nehawu and the Public Servants Association of South Africa (PSA) rejected the 7% salary increase offered by SARS. The workers are demanding 11% increase. The wage negotiations have resumed between parties at the CCMA in Johannesburg. SARS filed for an urgent interdict this week to restrict workers to only picketing at its head office in Pretoria and campus in Alberton, south of Johannesburg. 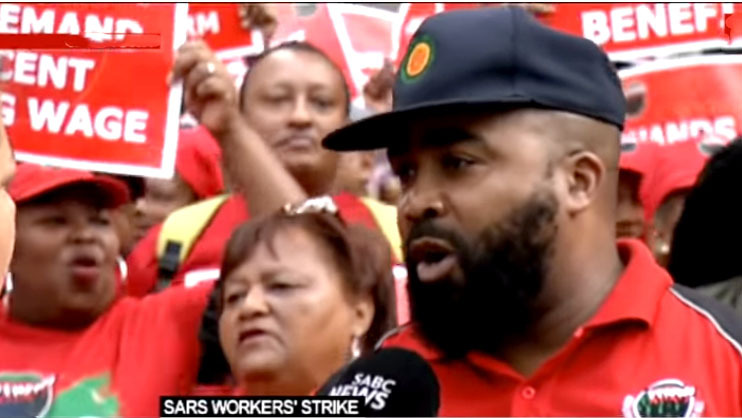 The post SARS strike continues despite negotiations appeared first on SABC News – Breaking news, special reports, world, business, sport coverage of all South African current events. Africa's news leader..